Let’s be honest: Not many of us know much about the Arctic! It can feel mysterious and far away. This book, The Arctic, changes that, but in a good way. 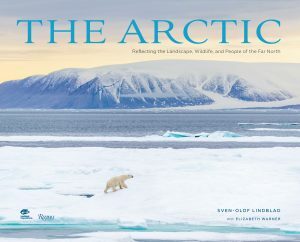 The Arctic: Reflecting the Landscape, Wildlife, and People of the Far North was written by Sven-Olof Lindblad with Elizabeth Warner. It gives the reader 200 amazing color photographs, along with stories about the land and sea, native peoples and wildlife. Giant icebergs along the coastline of east Greenland before sunrise. Right now, the Arctic is transforming rapidly. 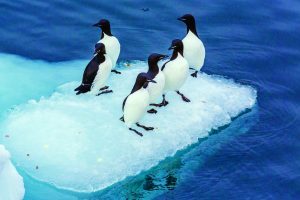 A lot is happening in the North Pole, including the swift melting of ice caps and glaciers, and the disappearance of sea ice. All those things mean rising sea levels. But The Arctic isn’t a book that only focuses on climate change or other issues like mining rights. 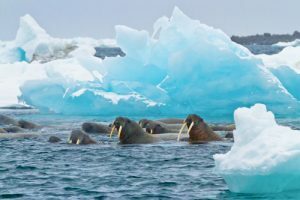 So, what is The Arctic all about? 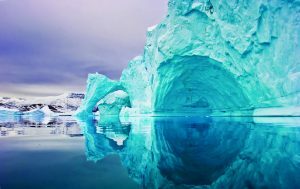 It helps you discover the magical Arctic for yourself with incredible images that will make you want to grab the next flight to this wild spot full of natural beauty. It’s a place like you’ve never seen or even imagined. 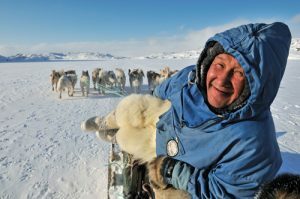 Expect incredible images of animals like the polar bear, walrus and guillemot, along with unbelievable landscape photographs and portraits of Inuit people going about their lives. 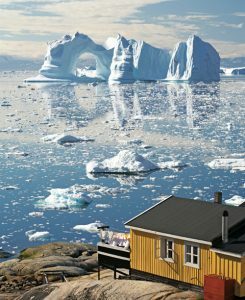 The Arctic also allows the reader a window into indigenous Inuit communities. Remember: The Arctic has a frozen ocean, but the land is more inhabitable. The Inuit people maintain their traditional way of life inside the stunning, yet harsh Arctic. Do these images inspire you to explore the Arctic in real life? All images featured in this post are © The Arctic: Reflecting the Landscape, Wildlife, and People of the Far North by Sven-Olof Linblad, Rizzoli New York, 2016.